The Disney Designer Fairytale Collection release is here. It will begin with a chance to purchase all five dolls at once, then starting September 23rd, the dolls are available as couple sets. 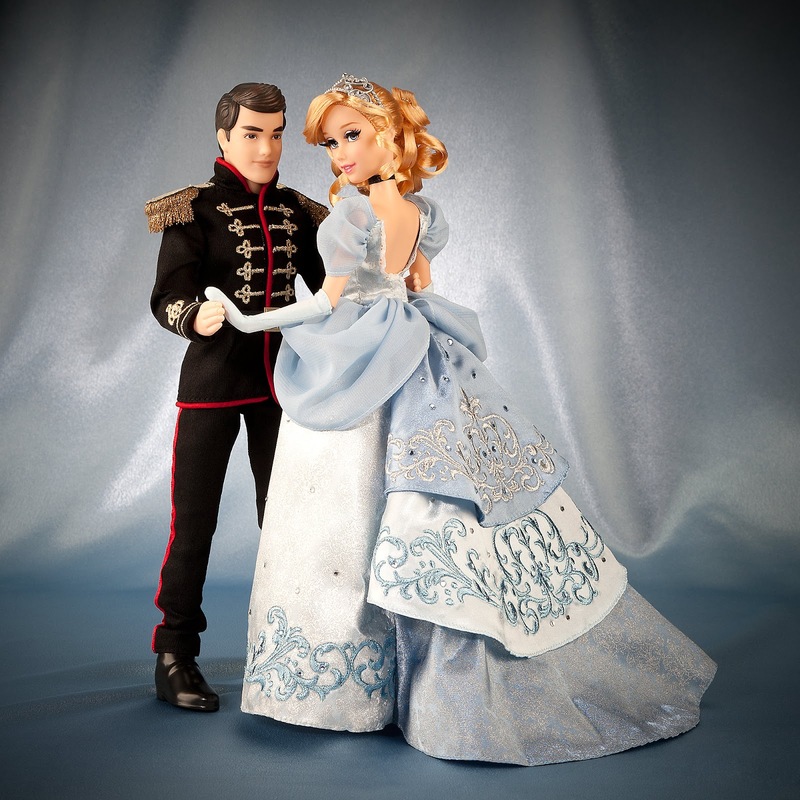 The Disney Fairytale Designer Collection Series Two includes Tiana and Naveen; Pocahontas and John Smith; Cinderella and Prince Charming; Mulan and Li Shang; and Aurora and Prince Philip. 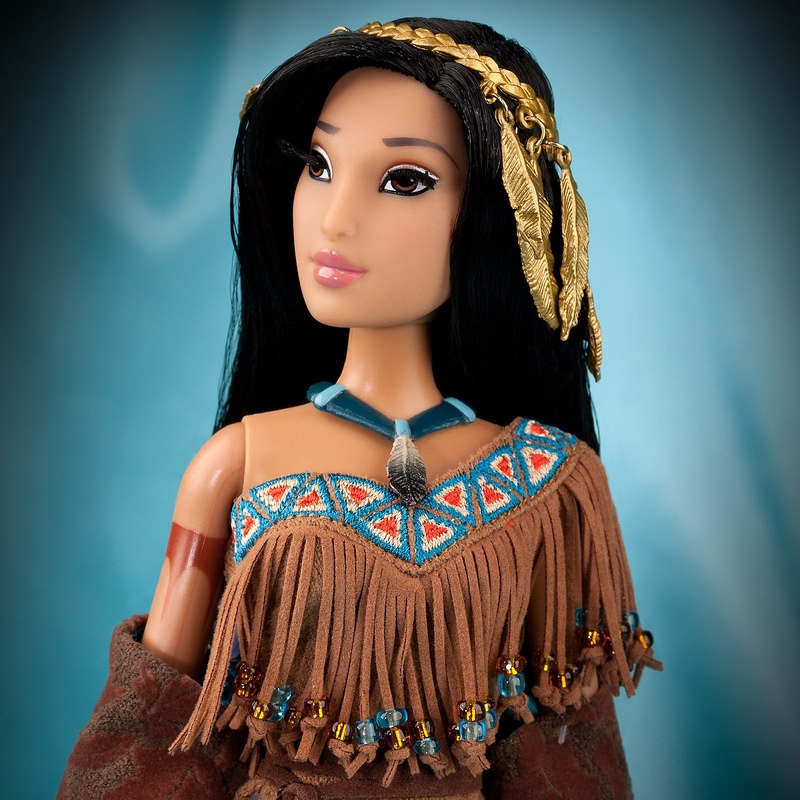 Some of the special detailing to each of the dolls includes embroidered bodices, rhinestone accents, golden buttons and satin gowns with ornate prints. 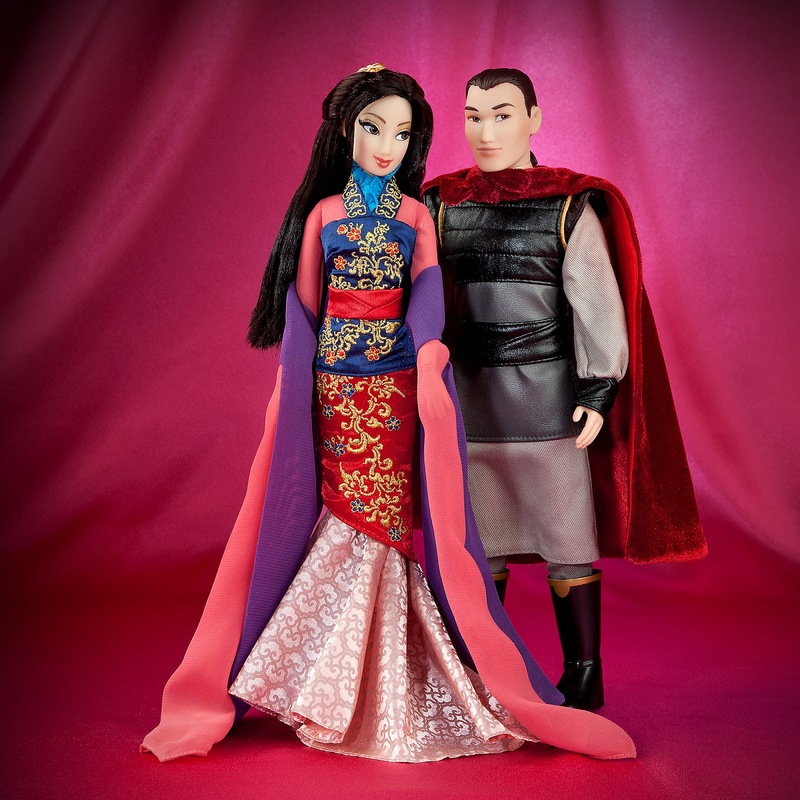 Each doll measures 11.5 inches tall and every couple will come in their special display case, with slip cover and Certificate of Authenticity. They will be a Limited Edition of 6,000 each, the Doll Sets will sell for for $129.95. You can also find out more information and see other merchandise on Disney's The Buzz Blog. 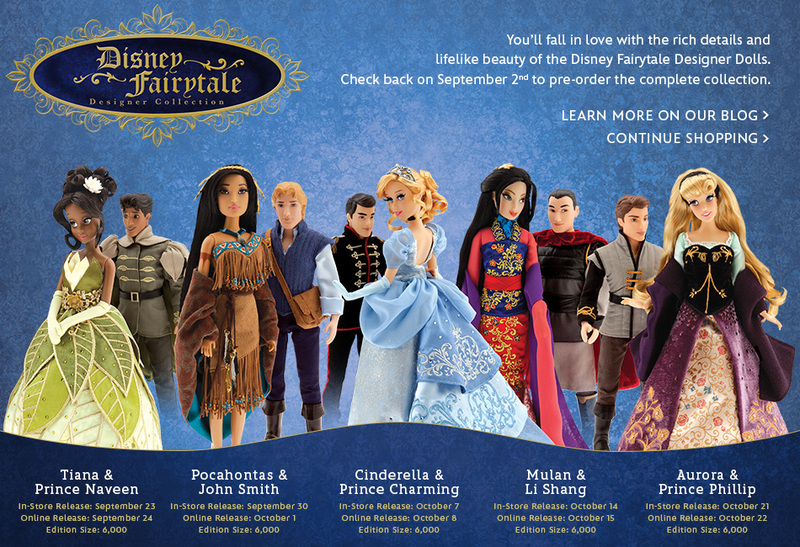 The entire set of dolls will be available on Tuesday, September 2, for $649.75. This is the only opportunity to get all five couples at once. If you buy the entire set, it will be delivered the week of October 21. 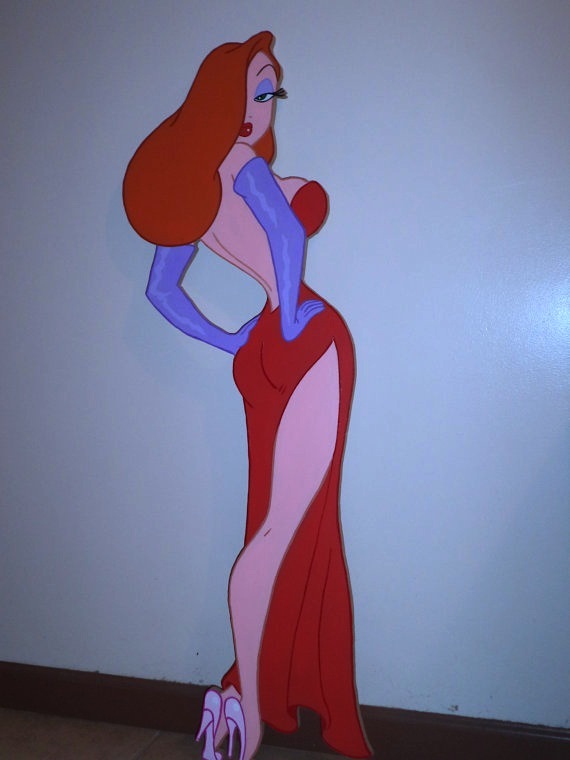 Suspended Animation NY has created another fantastic standee of Jessica Rabbit - this time standing at an impressive 46 inches - hand drawn, hand painted and made of ½ thick wood. Check out the listing on Etsy now! Here's your opportunity to own a unique piece of everyone's favorite Toontown diva. You will also want to take a look at the Store for trinket boxes, wreaths and standees of characters like Anna, Elsa, Mickey, Minnie and Ariel. While searching through Jessica Rabbit Football pins, I noticed that many of the pins had different qualities to one another, leading me to compare them and see if there could possibly be fake pins already showing up from this very recently released series. The pin to the far right is the possible original, it has clean lines, clean metal and sharper details. The pin in the middle and left are definitely in question. You can see the detail to the mouth, earring, nose, eye, eyebrow and hairline are all flat and have a lot more metal in the way. This is normally a sign of a fake pin - but, this series was so newly released that I'm not sure how they would have been faked already. The pins in questions could very well be legit, but with their quality being much more poor. Either way, these are common signs of fakes so remember to be very careful when buying and trading pins online. Roger and Jessica Rabbit are one of the most unique cartoon couples in history - with Jessica being a tall, curvaceous bombshell and Roger being a floppy-eared rabbit. Though their time together on-screen was short, the movie was still a hit with its smooth combination of live-action and cartoon characters. This Movie Moment Monday is simply - the end, all of it. Roger and Jessica finally together in one frame! We get the more iconic imagery of the film by the end, with Roger and Jessica tied together in the Acme Factory awaiting their fate. The movie isn't where it all really began. 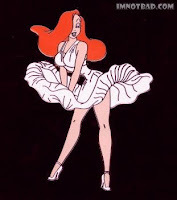 Roger and Jessica had a fairly different relationship prior to Who Framed Roger Rabbit, and their origins go back to the early 80's from the book Who Censored Roger Rabbit? by author Gary K. Wolf. So, in order to have had their small movie moment together, we do have to refer to the book. ImNotBad.com - A Jessica Rabbit Site: Jessica Rabbit Merchandise Review #5 - Medicom Vinyl Statue. A 25th Anniversary Blu-Ray, a Who Wacked Roger Rabbit? novel, A ZILLION SIMOLEONS! These prizes are still awaiting one more winner for Gary K. Wolf's Roger Rabbit Giveaway Contest. If Roger and Jessica went to a costume party, what costumes would they wear? The first winner was announced on August 18th and sent along a creative story with Roger and Jessica's costume selections. The last winner will be chosen on August 30th. So there's still one more chance to win. Don't wait! Start thinking about what fun, toony, wacky or scintillating costumes the most famous couple in Toontown would wear. You'll want to be kept up-to-date by visiting his blog at GaryWolf.com where he will be posting all the updates and news on the contest. Jessica's screen time with Eddie Valiant is the third Movie Moment Monday, and as you will see was also to be a little different than what ended up in the film. After the deleted Pig Head Scene, Jessica confronts Eddie - realizing how guilty she appears. Eddie doesn't trust her and suspects she is involved in framing her husband. It's in this scene that the famous line is delivered by Jessica Rabbit: "I'm not bad. I'm just drawn that way." 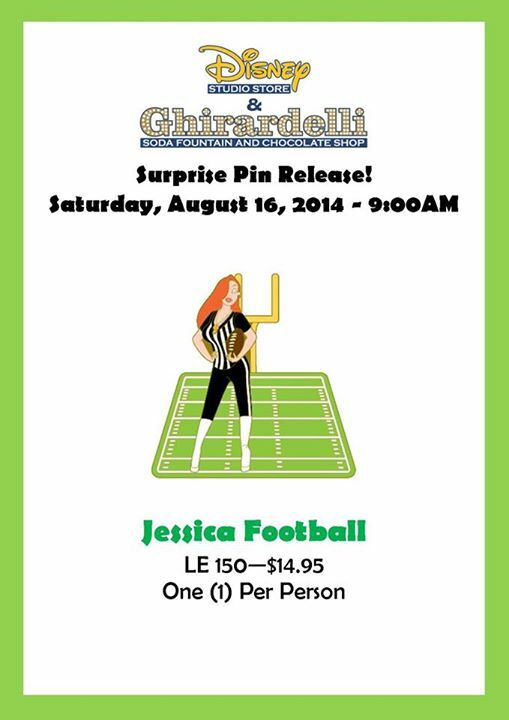 On Saturday, August 16, 2014 a Surprise Jessica Rabbit pin was released at the Disney Studio Store Hollywood. This pin goes along with the Football Series which also included Vanellope, Mike and Sulley and Chicken Little. Jessica is the referee, wearing a black and white striped shirt and a whistle around her neck. She has one hand on her hip and the other holding a football. She is the top layer of the pin, and the bottom is the football field. The pins are a Limited Edition of 150 and sold for $14.95 each. 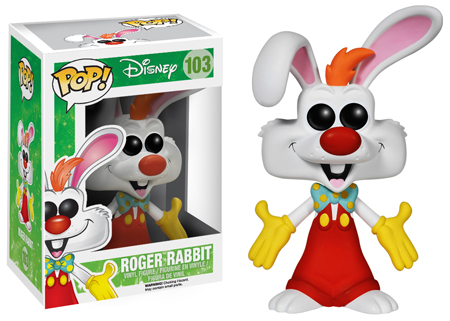 The Who Framed Roger Rabbit POP! Vinyl Figures were scheduled for release in August, but may not arrive in most stores until September. There are some reports of the figures popping up already. All four figures from the series are still available to pre-order from Entertainment Earth and various other websites. 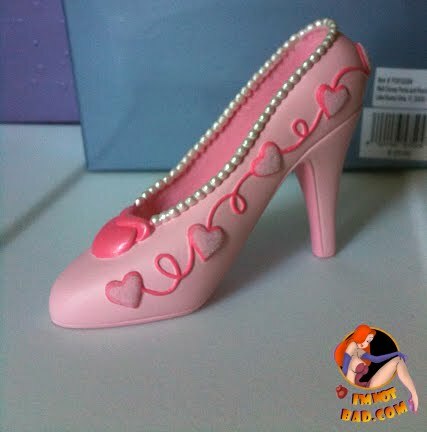 Before the Jessica Rabbit Runway Shoe Ornament - Jessica had other footwear available through the Disney Parks. A Collection of Character Cobbler shoes was made in the early 2000's. Everyone from Minnie to Ariel to Maleficent had their own style - even Jessica. Take a look at this unique collection. 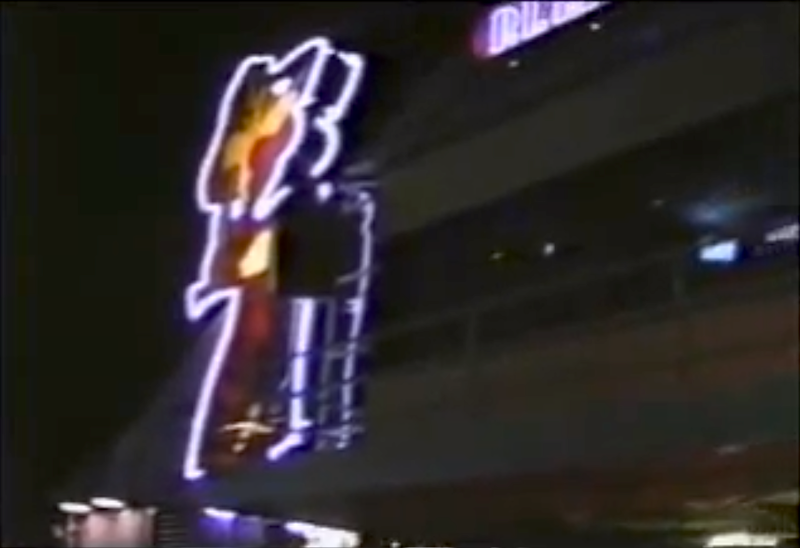 There are not many videos of the Jessica Rabbit sign when it was a part of her own signature store. 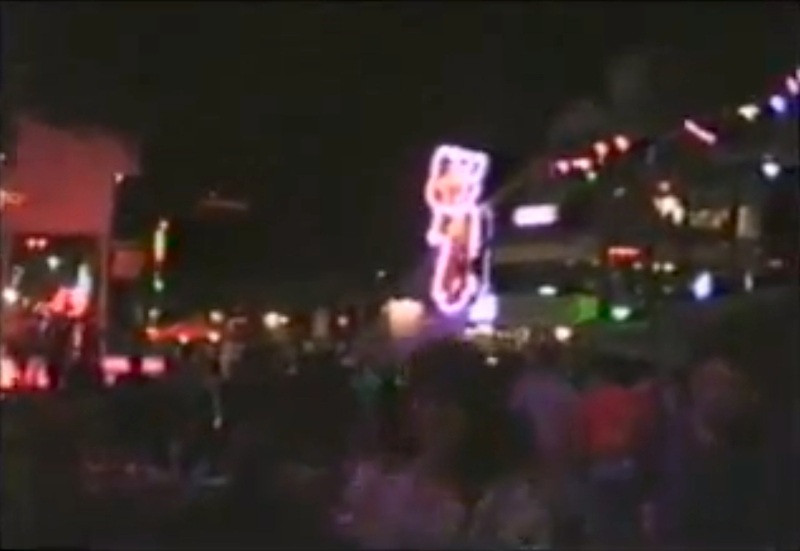 There were none of this great sign lit up at night - but one has finally surfaced. 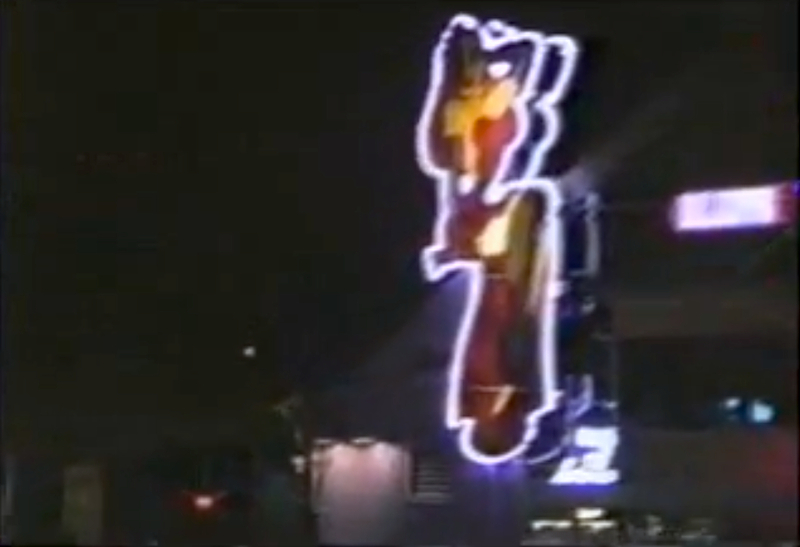 Starting at the 1 minute mark, you will see the Jessica sign, all lit up with her leg swinging. You'll be able to see if from several different distances and get a feel for how this classic store once looked. 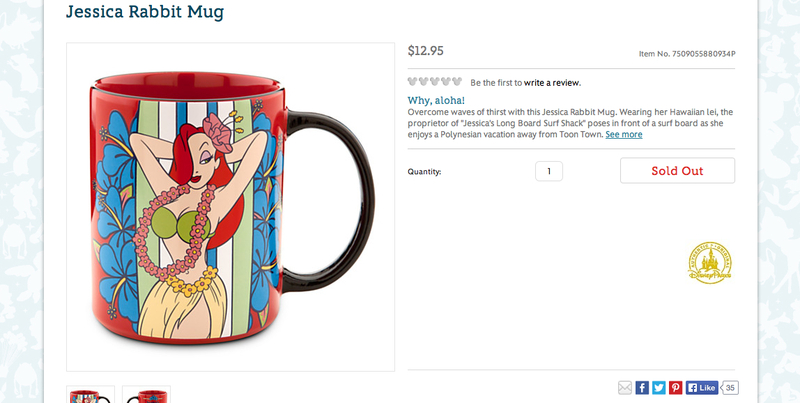 The new Jessica Rabbit mug from Disney Parks, which was released in the last few months, is now listed as SOLD OUT on DisneyStore.com. This image was used way back in 2003 for pins, shirts, hats and eventually a towel. The mug is red and the handle is black. Jessica is in her green bikini top and grass skirt with flower lei. She's standing in front of a large surfboard and large blue flowers. The other side reads Jessica's Longboard Surf Shack - Makin' them big since 1950 which is surrounded by bamboo and flowers. 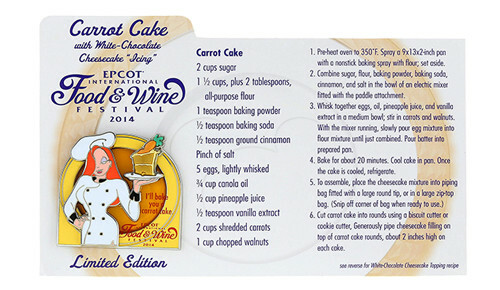 Though it is sold out on the website, this mug might still be available in Disney Park locations. The infamous deleted Pig-Head scene is the topic of the second Movie Moment Monday, and there was a lot more too it than what you saw on the DVD. Above you can see two stills from The Making of Who Framed Roger Rabbit special, showing a few seconds of Eddie Valiant actually snooping around Jessica's dressing room. It appears the deleted scene (found on the Special Edition and Blu Ray DVD) was to be a little longer and in-depth. The Roger and Jessica Rabbit Sketchbook Ornament showed up on the Disney Store Website at the mega sale price of .99¢ - what a deal! It's already showing up as SOLD OUT at this time, so congrats to anyone who may have gotten it at this great price. 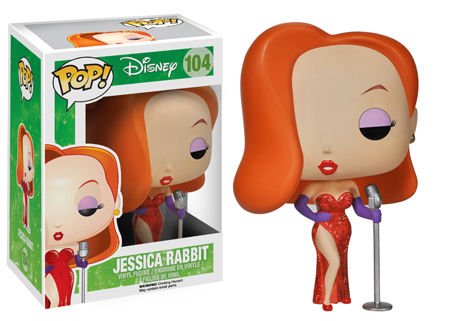 Jessica Rabbit has a brand new ornament that was recently released which is part of Disney's Runway Shoe Collection. As is customary with the ornaments, a pin set has been released matching the shoes created in the series. All the characters available this season are Anna, Flora, Fauna and Merryweather, Jessica Rabbit, Tinker Bell, Mulan, Mary Poppins and Elsa. The Jessica Rabbit shoe pin does not feature glitter fill, but her park autograph does appear on the heart. This is an Open Edition set released on July 17th and sells for $29.95 each. Normally pins are made available to order through Disney Merchandise Guest Services after 30 days of its release - but since these are Open Edition pins they may be available to order now. 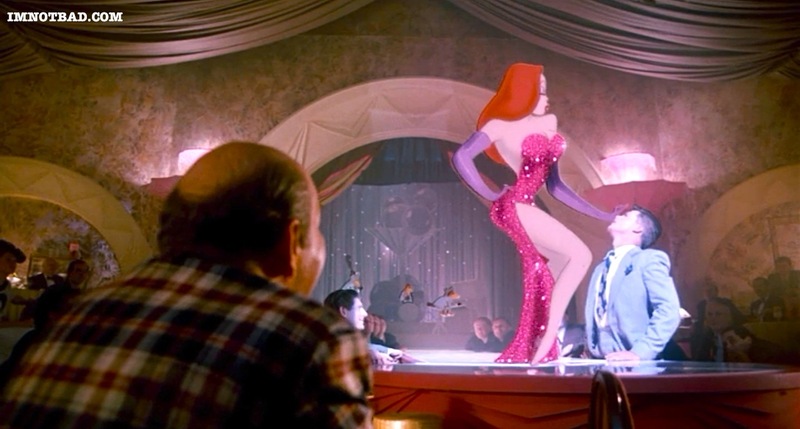 This month on ImNotBad.com we are going to review a memorable Movie Moment each Monday, and take a look back at what made Jessica Rabbit such an iconic character of the 80's. 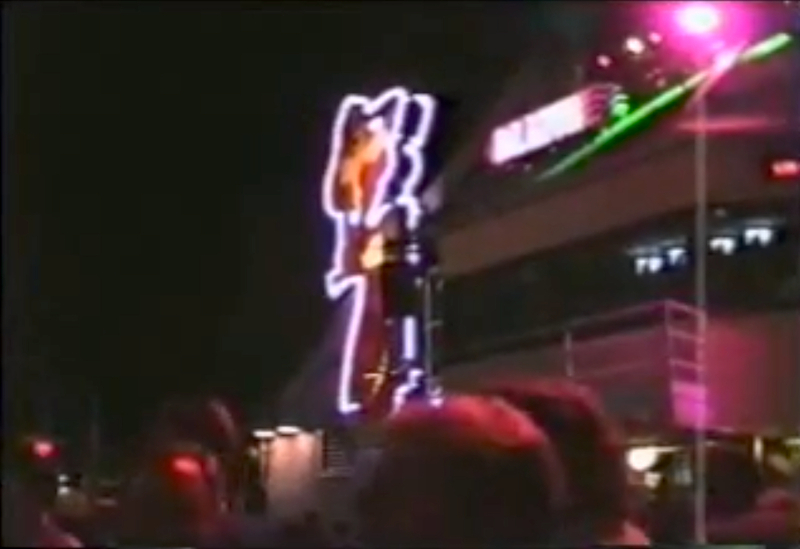 The first photo is from Jessica's on-screen debut, during her show-stopping performance at the Ink and Paint Club. A point that might have gone unnoticed to the audience is that the Ink and Paint Club was based on real clubs of the 1940's. The Cotton Club was one such real establishment, where African Americans were not allowed in as patrons, but could be performers. This was a small undertone in the movie, but we can get the idea that the Toons were not treated equally to humans. 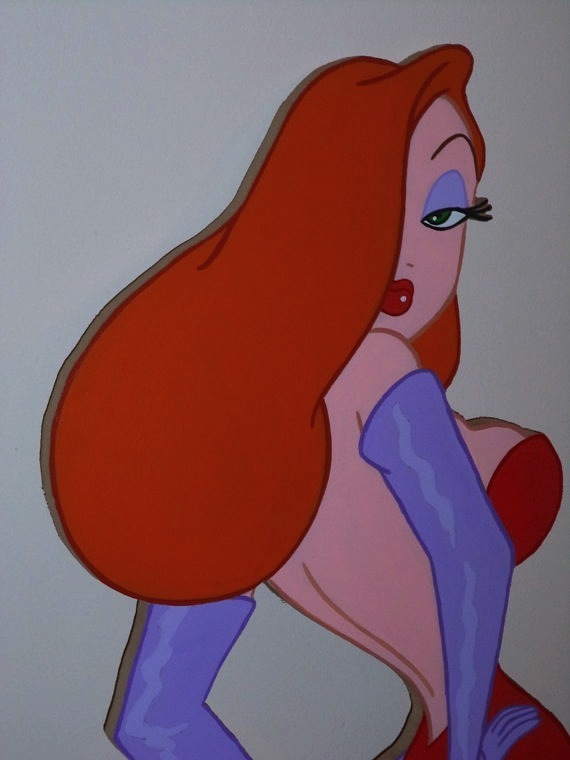 After a long time away from the public eye, Jessica Rabbit was making a comeback with new collectible Disney Pins. For a few years, Disney Auctions was the pinnacle of pin dreams, offering some the best and most limited pins collectors can recall. 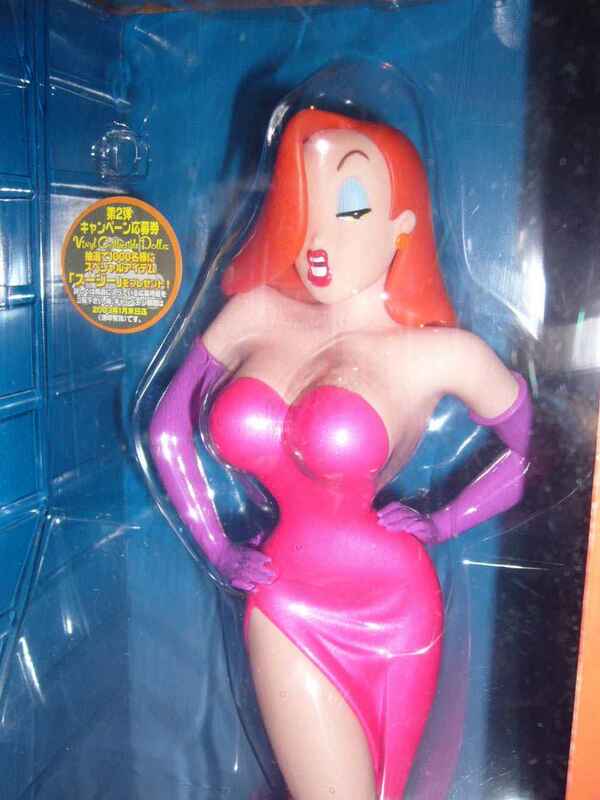 Jessica Rabbit was surprisingly featured in a new series, with full glitter fill and captivating poses. 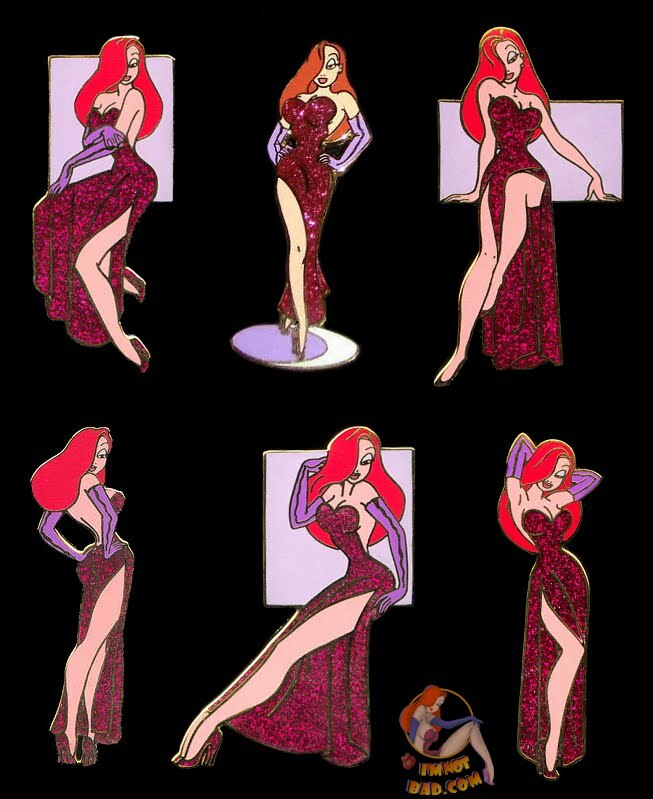 These would go on to be part of the most sought after Jessica Rabbit pins ever. Quite a few Jessica pins had been released before this set, but everything was about to change.